The United States Supreme Court today ruled that the government "is required" to obtain a warrant if it wants to gain access to data found on a civilian's smartphone, but only when it's related to the user's location data (via The New York Times). The decision is expected to have major implications for digital privacy moving forward as it pertains to legal cases, and could cause ripples in unlawful search and seizure cases that involve personal information held by companies like emails, texts, internet searches, bank records, and more. In a major statement on privacy in the digital age, the Supreme Court ruled on Friday that the government generally needs a warrant to collect troves of location data about the customers of cellphone companies. But Chief Justice John G. Roberts Jr., writing for the majority, said the decision was limited. “We hold only that a warrant is required in the rare case where the suspect has a legitimate privacy interest in records held by a third party,” the chief justice wrote. The court’s four more liberal justices joined his opinion. Today's vote in the case Carpenter v. United States came down to a 5-4 ruling, and originally emerged from armed robberies of Radio Shacks and other stores in Detroit dating back to 2010. In the case, prosecutors relied on "months of records" obtained from smartphone makers to help prove their case, ultimately showing communication between Timothy Ivory Carpenter outside of a robbery location -- with his smartphone nearby -- and his accomplices inside of the location. The companies reportedly turned over 127 days' worth of Carpenter's records, with information as specific as whether or not he slept at home on any given night or if he went to church on Sunday mornings. This led to the question by the Supreme Court justices as to whether the prosecutors violated the Fourth Amendment in discovering so much data on Carpenter's movements. Now, police will have to receive a warrant issued by the court in order to obtain any smartphone data as it relates to the owner's location data. As the case continued, Apple and other technology companies filed a brief in August 2017 arguing against "rigid analog-era" Fourth Amendment rules. 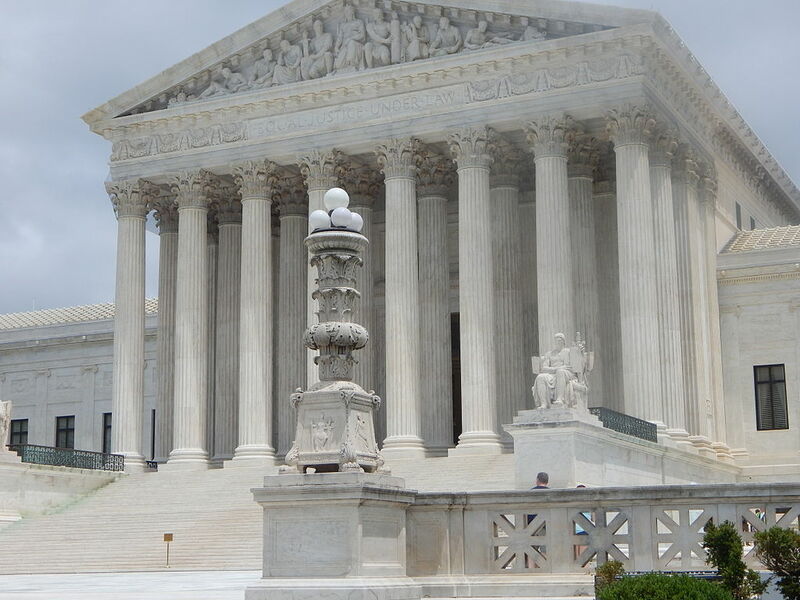 The brief deliberately stayed neutral on the topic of choosing sides, but urged the Supreme Court to continue bringing the Fourth Amendment law into the modern era. The companies stated that customers should not be "forced to relinquish Fourth Amendment protections" against intrusion by the government, simply because they choose to use modern technology. I'm shocked this isn't a 9-0 slam dunk with a poster for it... how can we be so vocal about the 2nd Amendment, or the 1st... and not be equally as loud for the 4th? "The right of the people to be secure in their persons, houses, papers, and effects, against unreasonable searches and seizures, shall not be violated"........... come on now. From the start, this should have ALWAYS required a warrant. Another 'liberal' case where Roberts sided for. The Court could soon take a liberal turn if Roberts continues on his current trajectory, unless a liberal justice retires during Trump's presidency. How is this a liberal decision? Generally curious. I wonder how long before Apple offers the ability to delete your location data, using a method similar to how you can clear your browser history. Because conservatives really don’t democracy. I disagree with your proposition that this was a liberal decision. As a fairly conservative guy, I believe that the decision represented a clear victory for the 4th amendment. I do not think that the supreme court can or should make decisions that conflict with the constitution. If you don't like what the constitution says, there is a process to amend it. My phone is one of my "effects" that is constitutionally protected. The data within my phone (or that is generated by use of my phone) is also protected as it is an integral part of my effect (my phone). This is something any person be it on the right or left of the political spectrum supports. My extremely conservative Texan Christian wife is all for this. As I imagine so are most liberals. Not every issue is polarised. In fact if you stop swallowing party dogma and apply logic and common sense you would find most sides have a lot in common, they perhaps just see things being implemented in a different way. No sane person wants the government to be allowed to invade their privacy without due cause, no one. I wouldn't be surprised if there is another case for this heading to SCOTUS. Since this case rules that the 4A applies, but the 5A doesn't apply when a fingerprint is used to unlock the phone (if TouchID is enabled), would not getting the warrant to search the phone implicitly force the suspect to give up his 5A right? While I applaud SCOTUS for getting this one right, we've opened another can of worms here, which puts the 4A up against the 5A. Because for some people, the United States Constitution seems to end at the 2nd Amendment. Regardless, I posted on this very subject here a little over 5 years ago, and no-one seemed to care, as they were too afraid of big nasty mean Obama wanting to take their guns away. After reading the NYT article, or the Mac Rumors summary of it, that the conservative judges ruled that a warrant is not necessary. I'm still reading the decision myself (https://www.supremecourt.gov/opinions/17pdf/16-402_h315.pdf, PDF), but at least some of the dissenting opinions (Gorsuch, for instance), the objection appears to be that the 4th amendment protections of the majority opinion are two narrow. Gorsuch questions the legitimacy of the third party doctrine, and the notion that people give up their "reasonable expectation of privacy" when they give their information, such as cell phone records, to third parties, such as mobile phone operators. It would be pointless. They can only delete data stored on the phone. Cell providers control location data captured by their towers.